The Renton Community Center is conveniently located along the Cedar River and provides an ideal location for birthday parties, receptions, and business meetings. The classrooms, and banquet room (with full kitchen) are available to accommodate a variety of needs from theater-style seating to banquet-style dining. It also features a 3,300 square foot banquet room, meeting rooms, and a full-service caterer's kitchen. Facility tours are available by calling 425-430-6700 Monday through Friday, 8:30 a.m. to 4:30 p.m. The banquet room overlooks the Cedar River, offers open space with vaulted ceilings and modern decor. Reservations require a security deposit of $550 to secure a date. Bookings must be made in person. Three meeting spaces are available for small parties, business meetings and seminars. Meeting rooms can accommodate up to 20 to 40 people. Special events and other rentals may require insurance at the discretion of the city's risk manager. 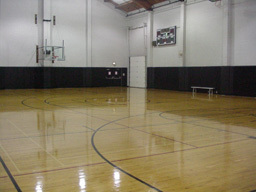 Two gyms are available for special event rentals (i.e. trade shows, craft shows, etc.) and require an additional fee for carpet set-up and take down or for special electrical needs. Need a fun and easy way to celebrate a child's birthday? The Renton Community Center offers two birthday party package options. Monday-Thursday: 6 a.m. to 8 p.m.
Friday: 6 a.m. to 11 p.m.
Saturday: 9 a.m. to 11 p.m.
During inclement weather situations, the City of Renton follows guidelines established by Renton School District.